your vehicle maintenance and repair needs, and there is no job that is too big or too small. 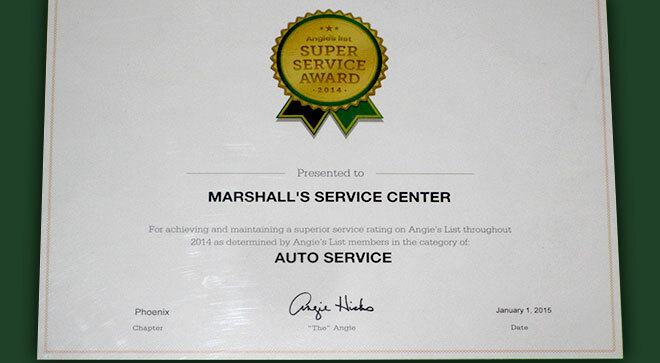 We have an outstanding staff that has experience in all phases of vehicle repair and service. 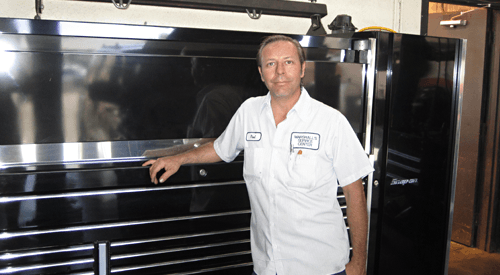 We understand that no one ever wants to have trouble with their vehicles, but if you do, we want you to know that our shop provides quality work coupled with superior customer service. 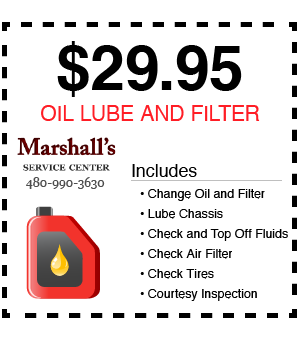 Marshall’s Service Center offers a full range of automotive services for every make, from Audi to Zephyr. We maintain the highest service and repair standards because we employ ASE Certified Technicians who continually add the latest technology to their skills. Marshall’s excellence has been recognized by the Better Business Bureau and Arizona’s Channel 3 TV. 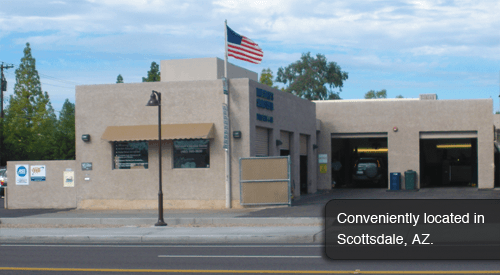 In addition, we belong to memberships such as AAA and the Automotive Service Association of Arizona. Whether you need vehicle repair or simply want a reliable shop to provide you with your routine servicing, we can assist you. We have helped thousands of people get back on the road, and we can help you too. 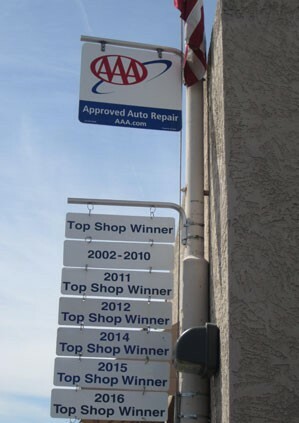 Any good business realizes that their customers are their greatest asset, and our shop understands this. We are proud of what our customers say about us. If you would like to read for yourself what others have said, please visit the testimonials page located on this site. We believe in providing a friendly, positive, family-style business, which is why we are open six days a week, Monday through Friday, from 7:30am to 5:30pm and Saturday from 8:30am to 3:30pm. We work hard during the week to ensure that all of your repairs and service exceed your expectations. We want your business and will do whatever it takes to earn it. Visit us and see for yourself why our shop is trusted by so many others. We pride ourselves on offering a wide range of expertise in the vehicle service and repair. 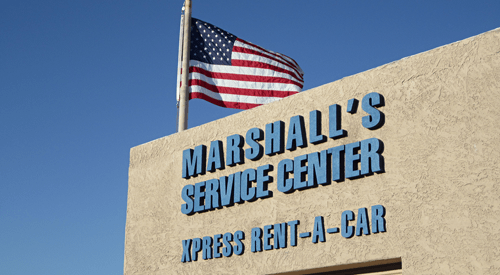 Marshall’s and the Xpress Rent A Car Network have great rental rates on economy. Subscribe to Marshall’s Service Center Newsletter to receive monthly deals and coupons. We pride ourselves on offering a wide range of expertise in the vehicle service and repair industry. We encourage you to contact us if the repair or service you need is not included in this brief overview. You may also reference our recommended maintenance schedule listed below the service menu. We will do it for free. 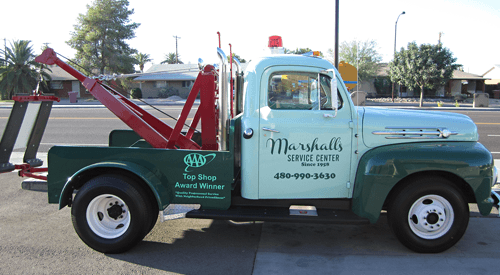 Marshall’s Service Center is conveniently located in Scottsdale and has been helping drivers keep their vehicles on the road from the same location since 1993. We offer a full range of automotive repair and maintenance services, combining high quality work with superior customer service. Our staff is dedicated to meeting your needs and they will work on your vehicle as if it was one of their own. “After years of being talked down to and getting short rude answers at other shops and dealerships, I found out about Marshall’s on the internet. I went there for a simple oil change at first. They were nice, professional and thorough. They told me about some maintenance items that were coming due on my car but didn’t give me the “hard sell” Within the next 6 months I took care of everything little by little as my budget allowed. 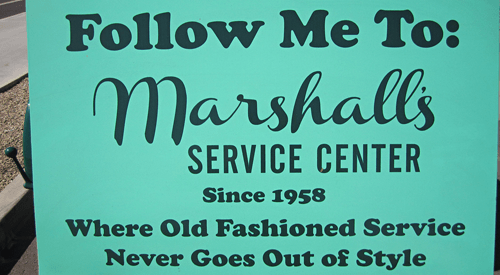 Now I’m all caught up, my car runs great and I feel like Marshall’s Service Center has my interests in mind first. Join our newsletter for unique discounts and offers..